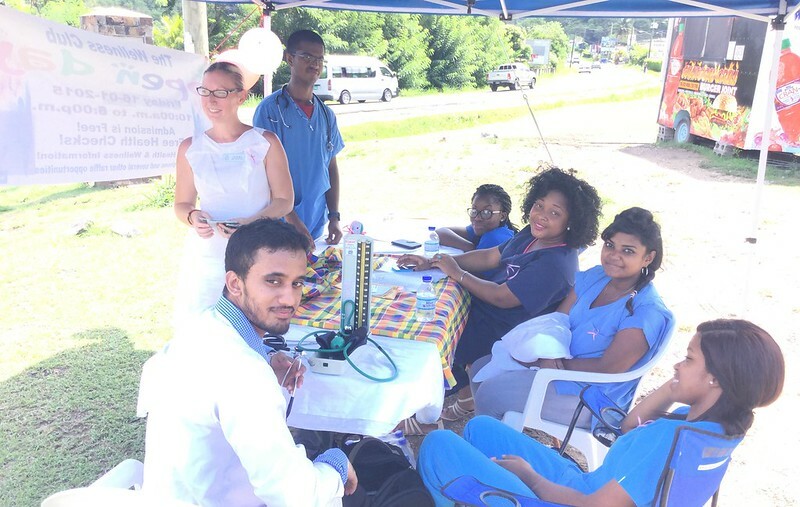 A Free Medical Camp was conducted by the students of AIMU on behalf of the wellness club, at the creative health centre, Rodney bay, on the 17th of October 2015 from 10 am to 5 pm. It was a great experience which enables us to apply our theoretical knowledge in the field after loads of planning and presentations under the supervision of our dear Dr.Rosanna Mars. Our newly graduated Doctors, Dr. Gifty and Dr.Gokul supported us through the event which gave the students of AIMU the platform to spread awareness about health issues like breast cancer and hypertension on live radio and television. Meeting people from different walks of life and attending to them cemented the principles of the covenant of the patient doctor relationship in all the students who participated in this wonderful camp. The students would like to thank the wonderful opportunity. This camp resulted in a strong improvement in our clinical skills.